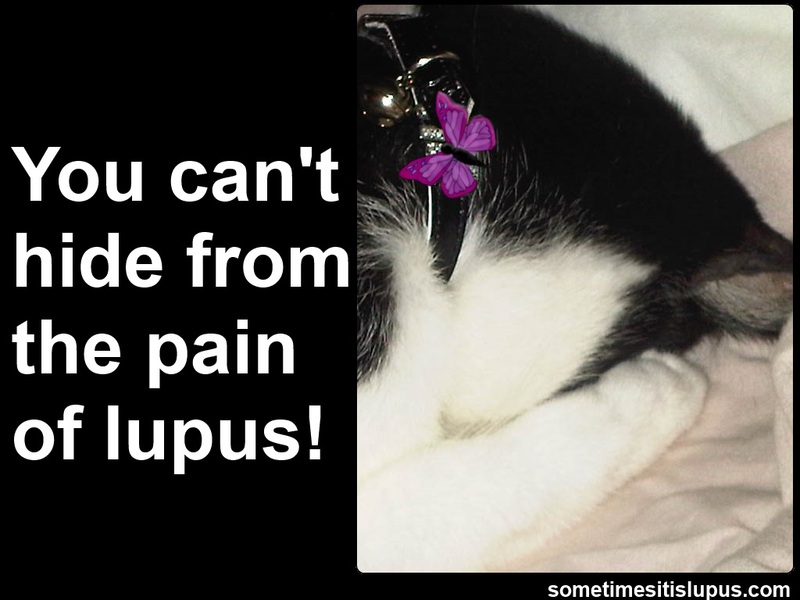 Sometimes It Is Lupus: How Do You Know It's A Flare? How do you know you're having a lupus flare? You don't have the energy to shower. You cancelled your doctor's appointment because you're too sick to go. The dishes haven't been done since the day before yesterday, and today and tomorrow don't look promising. You've made five cups of coffee and not remembered to drink any of them. You keep checking the calendar, but still don't know what day it is. You think you used to own keys, glasses and a purse, but there's currently no evidence that they ever existed. You have aches and pains in random places like the last joint of your left little finger, your right knee and half a dozen random vertebrae. Someone is testing an atomic weapon inside your skull. The kids and pets appear to have gone feral. You can't remember if you took your lunchtime pills - or had lunch - or can tell the time. You decide that if you must wear shoes, you'll go for slip-ons, because you can't manage buckles or laces and you're not even sure you can do up velcro. You realise that an apple is a much easier meal than anything that requires cooking, or even a plate. You search your wardrobe for something you can wear without having to do up buttons or zips. The phone rings and you can't work out what to do about it. You're so tired you don't have the energy to go back to bed. You nap more than the cat does. You look for a lift, because there's no way you can manage stairs. A friend offers to take you to your favourite restaurant, and you make an excuse and go to bed early instead. Your eyes are so dry and gritty you could use them as sandpaper. On a scale of 0 to 10, your pain level is sitting somewhere near a thousand. How cool is this? Who owns this blog? I must find you and friend you and follow you!! I resemble several of these "little hints". I hate Lupus but I do appreciate someone else who can find a smile in between the pain. Well written. Fabulous! I think most of us that suffer from this can agree that 90% or more of these symptoms posted can hit us hard! This is the most accurate that I have seen of what we go through! Agree, post and hang on the fridge!